How to Become a Forensic Scientist in Pennsylvania? How much does a forensic scientist make in Pennsylvania? With 316 violent crimes per 100,000 residents, the State of Pennsylvania is the 29th most dangerous state in the United States. With such figures, there is no denying the importance of law enforcement agencies. The Pennsylvania State Police and Philadelphia Police Department work day and night to try and keep the residents safe from all kinds of crime. They have complete teams of trained professionals taking care of various aspects of crime in the state, and forensic scientists form a very important part of this mix. Forensic Scientists gather evidence related to crime from the crime scene. They also photograph the crime scene in detail to make sure they have all the evidence documented for later deliberation. Once done on the field, forensic scientists have a lot of lab work to do, conducting tests on the evidence collected, reconstructing crime scenes, preparing detailed reports and reaching conclusions based on their research. In some cases, forensic scientists may also be required to provide expert testimony in court. If all of this sounds like your kinds of thing, the following information about how to become a forensic scientist in Pennsylvania would interest you greatly. Disclaimer: The requirements to become a forensic scientist in Pennsylvania would be largely dependent on your employer. Even though the basic educational requirements might be the same across the country, the exact training, experience and certification requirements would vary from employer to employer. So you are advised to get in touch with the employers you intend to work for, and get the exact list of requirements. Most entry level jobs for forensic scientists would require at least a bachelor’s degree, as per the US Bureau of Labor Statistics. Since the nature of the job is highly scientific and technical, education below this level would not suffice. You may choose to complete a four-year degree in any of the natural sciences or forensic science, along with a sufficient amount of lab work. At this point, you would have to decide which aspect of forensic science interests you the most. For instance, a forensic scientist who wants to work with ballistics or latent prints can begin taking elective courses in that area. On the other hand, students who intend to go for more complex fields with a greater degree of responsibility, such as a forensic scientist or a medical examiner, may begin their preparation for a graduate degree. If the career path you are interested in requires a higher degree, your next step would be to enroll in a graduate degree. Keep in mind, however, that a forensic science degree at the master’s or doctorate level might not be available, so you would have to go for another degree, with a concentration in forensic science. Once hired, you would be required to complete certain on-the-job training requirements. This is to make sure that you fully understand the work methodologies of your employer in terms of gathering evidence, documenting it and reporting it. The training program can last a few weeks and can even go on for more than a year, depending on the nature of the job. Make sure you take full advantage of this training period, since the practical experience here will help you go a long way in your career. There are various organizations across the US that offers credentials to forensic scientists. These include the likes of The American College of Forensic Examiners International, The American Board of Criminalistics and The International Association for Identification. You may choose the area you want to be certified in and apply accordingly. 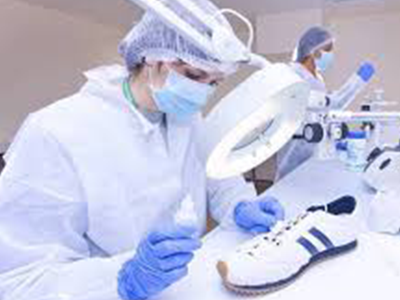 For instance, the International Association for Identification offers eight different kinds of certifications including crime scene, forensic video, bloodstain pattern examiner, forensic photography, and footwear and so on. Each certificate has its own set of training requirements and its own exam. Some even require you to complete several hundred hours of training in forensic science, along with gaining some experience to be eligible for application. According to 2017 data from the US Bureau of Labor Statistics, Forensic Science Technicians made an annual mean income of $50,080, which is slightly lower than the national average. The job growth for forensic science technicians is expected to be at 15% in the years between 2016 and 2026. Even though this is a positive growth, aspiring forensic scientists must note that only 40 new jobs are being added in the field in this time period. This means that the competition will be very stiff and you would need to set yourself apart from the rest of the candidates. Applicants who have a master’s degree would most likely end up getting the best opportunities.